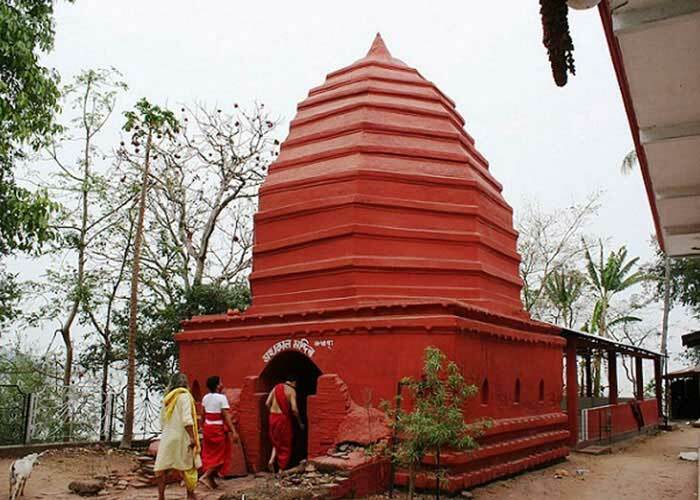 This is a very famous temple situated at ‘Hajo’ (Assam), on a hill known as Manikoota Hill, which at a distance of about 30 kilometers in West of Guwahati. 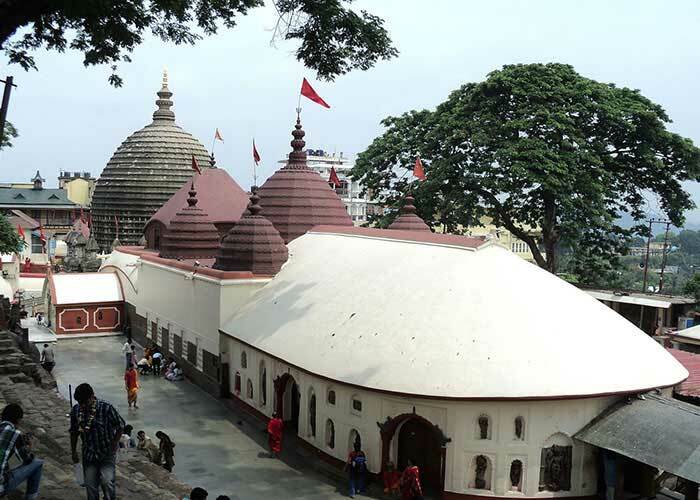 One of the most popular temples of Assam- Kamakhya is also situated near Hayagriva Temple. 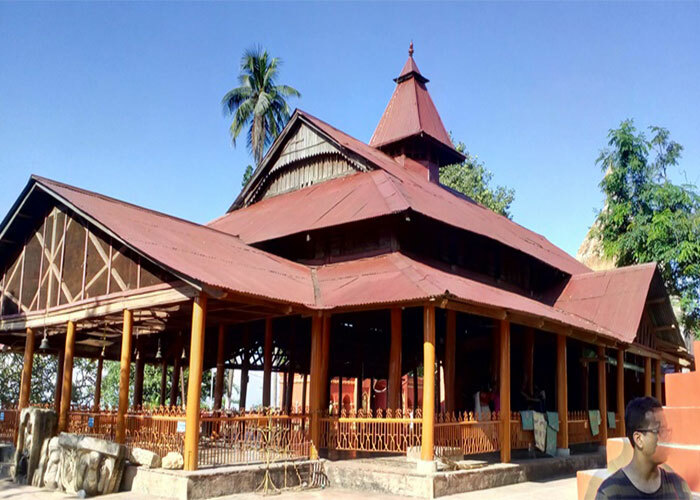 The main temple is segregated into three parts-first one is basement which is termed as Garbhagriha, the central part where the temple shrine is fixed and the top of the temple is Sikhara. The top most part(Sikhara) has a paramedical plane face which continues right up to an apex point. 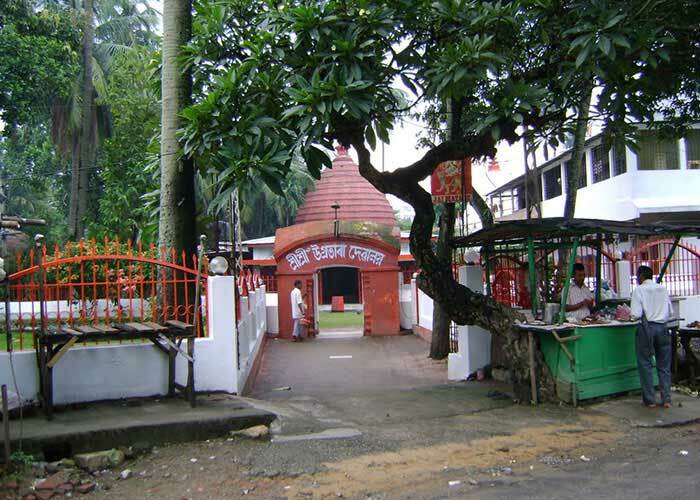 Garbhagriha which is the basement is constructed by different types of the bricks and has an area of about 14 square feet. 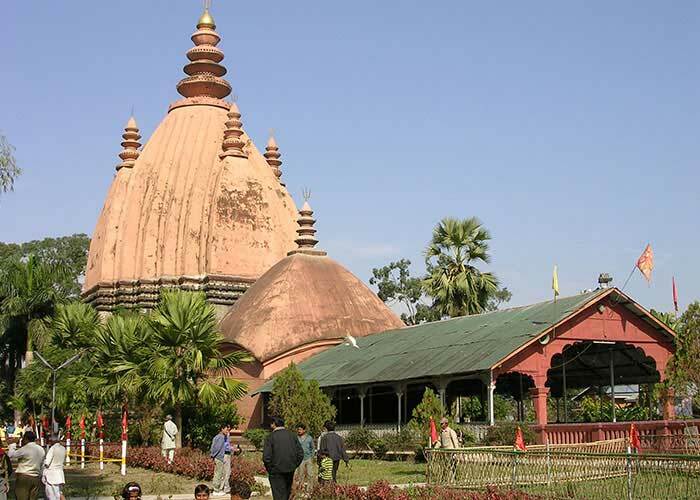 In the temple premise, basically there are two stone screens which were cut into the shape of a beautiful Lotus, which is lied on the either side of the anteroom for the ventilation purpose. Walls of the temple are engraved into big-size sculptured figures which are carved on the upper exterior walls of the temple. Pre-dominantly, these historic figures represent the Ten Avatars and ‘Buddha’ was depicted as the ninth ‘Avataar’. Left Nine figures are of mysterious characters, out of which most figures are of males however each figure is inscribed with a trident (Trishula) in either of the hands. 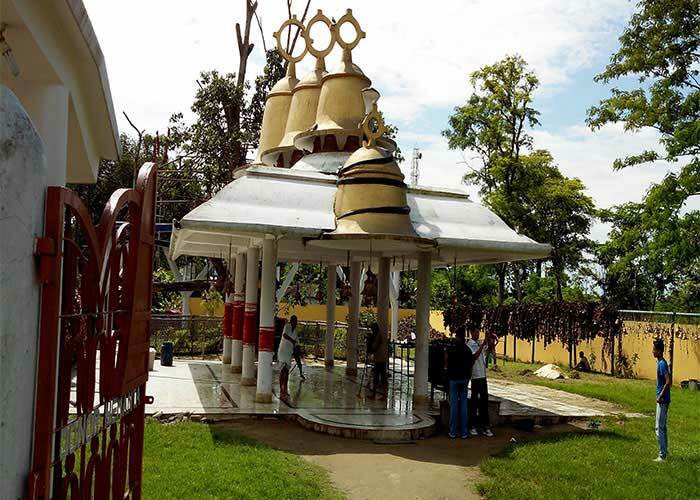 By rail: Visitors can reach Hayagriva Temple by railways and the nearest railway station is at Guwahati. By road: We can also reach Hayagriva Temple by hiring a bus, a cab or a taxi which are available from various cities and the towns of India. 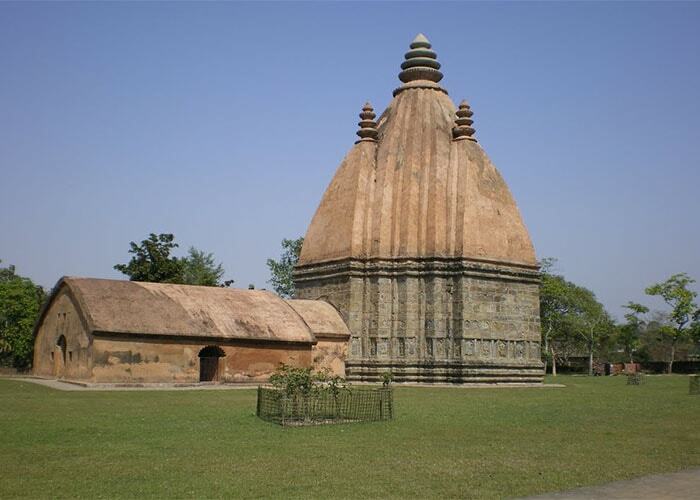 ‘Hayagriva’ Temple is one of the historic temples in Assam .The archaic building was demolished by Kalapahar. Therefore, in 1543, the building of the temple was rebuilt by Koch king Raghudeva Narayana. 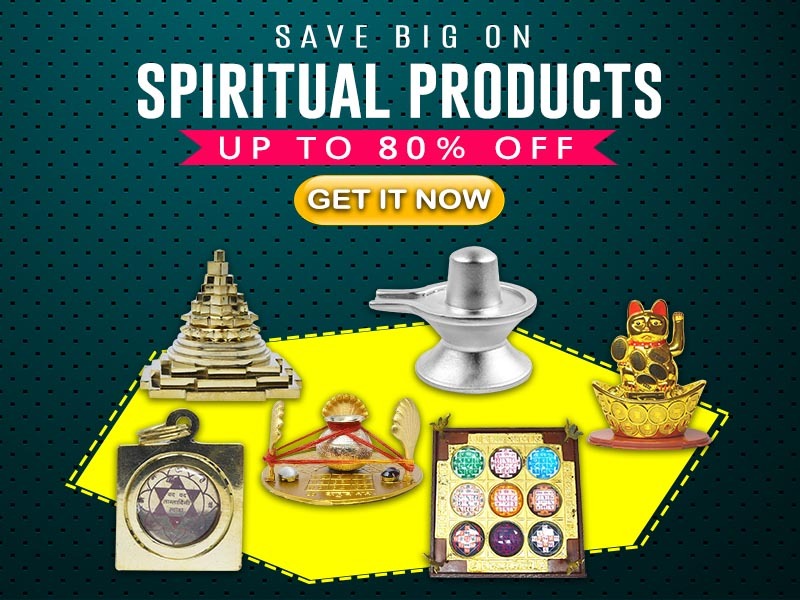 Hindu Mythology says that the story is associated with the two demons, Madhu & Kaitabha, who had stolen the Vedas from Lord Brahma at the time of the creation of the universe. Displeased by the demons act, upset Lord Brahma went to Lord Vishnu. And by the time he reached at Lord Vishnu’s abode, Lord Brahma found him sleeping. He then awoke Lord Vishnu and asked for his help to get back the Vedas from the demons. After that, Lord Vishnu incarnated himself in the form of ‘Hayagriva’ and had a fight with the demons. At the end, He killed the demons and handed over the Vedas back to Lord Brahma. 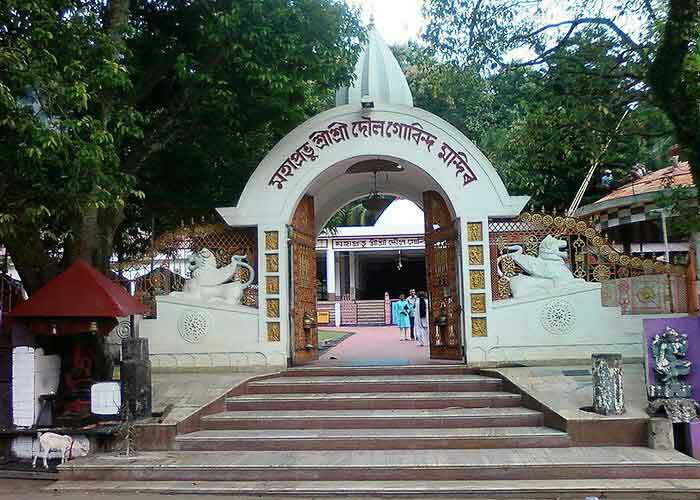 This antediluvians shrine is dedicated to one of the manifestations (Avataar) of Lord Vishnu. Lord Vishnu was in the form of a human being in that reincarnation with the head of a horse. 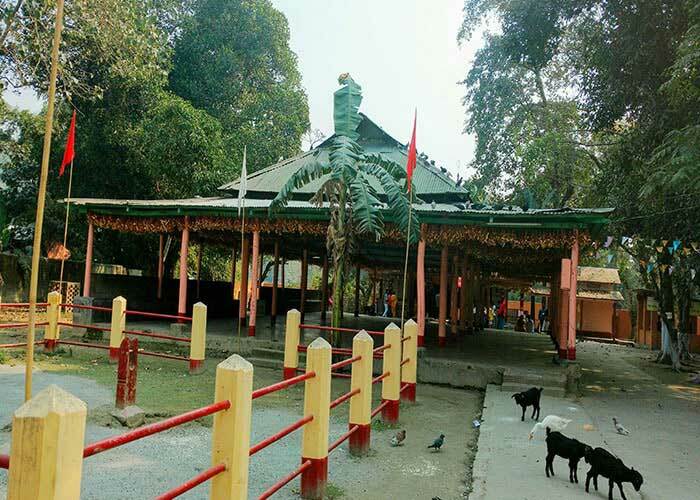 ‘Haya’ means horse and ‘Griva means neck in Sanskrit language, therefore the temple is called as Hayagriva Temple. 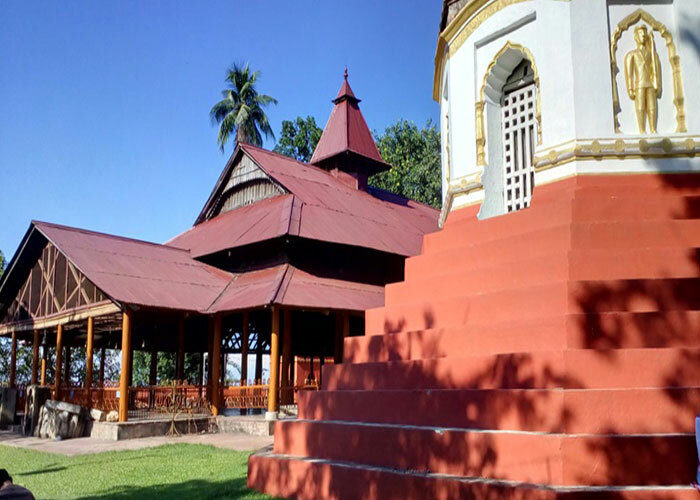 The temple is also famous as a historic pilgrimage destination of Buddhist Lamas and Bhutiyas who basically follow Buddhism. 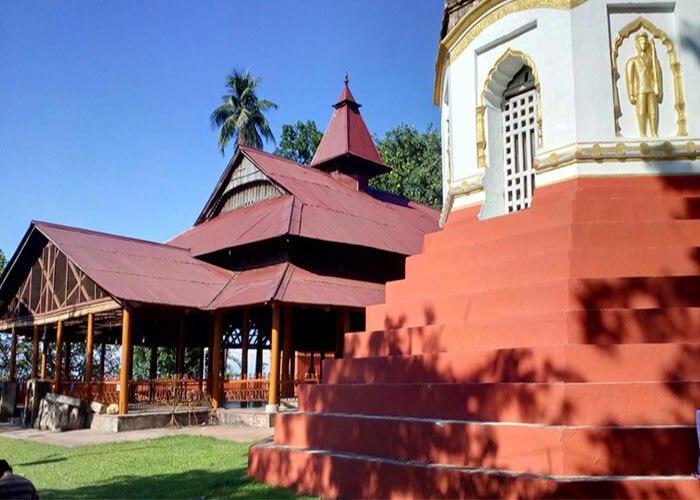 People of Buddhist community believe that Lord Buddha had left his holy body and had attained Moksha/ Nirvaan at this holy place.